When Theo. 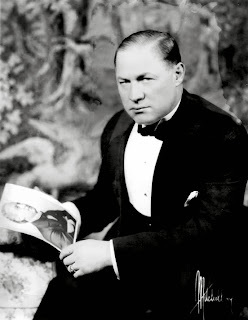 Hardeen passed away suddenly on June 12, 1945, he was working on a biography of his famous brother Houdini. It's unclear if the book was ever finished, but it was certainly never published. Just now I'm writing "The Truth About Houdini", which will tell how he put color and showmanship into the art of the magician. Houdini learned early the box-office value of 'impossible' darning escapes, and no one knows the intimate facts about his life better than I do. We spent years together perfecting the details of our secret routines. 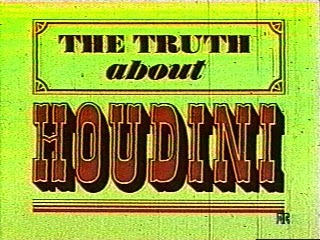 Coincidentally, Hardeen's title was later used for the first major Houdini documentary made by the BBC and Patria Pictures in 1970. I believe Hardeen's manuscript is now housed in a private collection. It would be great to one day see it published or even excerpted in a magic magazine. Hardeen seemed much less prone to myth-making than the rest of the Houdini organization, so this book might indeed tell The Truth About Houdini. UPDATE: Did Hardeen reveal Houdini's most secret secret? In light of Theo's comment about the Kellock book ("This book is full of lies. "), you're probably right about him getting closer to the truth. If the manuscript (or even notes) has survived, I don't understand why the owner hasn't shared it with the world. It might uncover some significant facts that could literally change part of the history of Houdini as we know it. In any event, thanks, John. Do we know how Hardeen died exactly? I have read "stomach ailment" but no details. He died from complications while recovering from an operation he had at Doctor's Hospital in New York.